The StableNet® platform technology revolutionizes management of large heterogeneous network infrastructures. 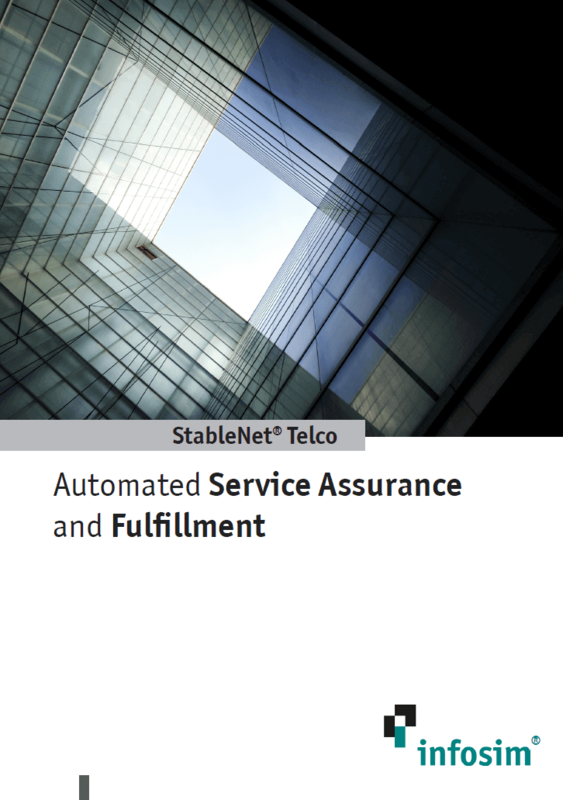 StableNet® enables network operators to automate End-to-End provisioning of service assurance processes such as measurements and monitoring. 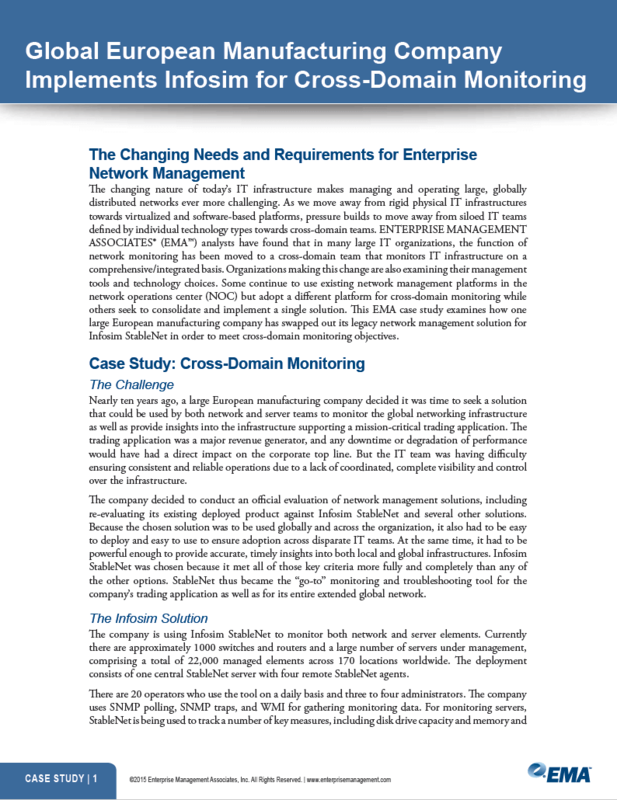 StableNet® Enterprise provides End-to-End visibility into the IT infrastructure. This guarantees a smooth and stable network operation. 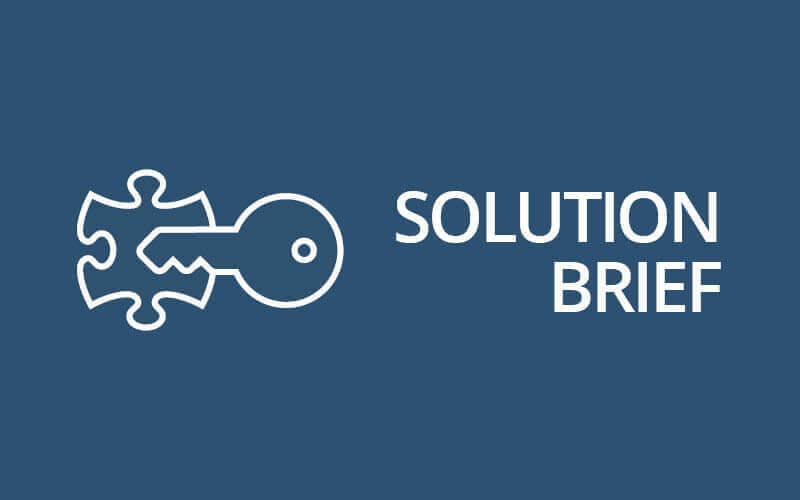 Bottlenecks can be localized and eliminated proactively, so that link overload and connection losses can be avoided. 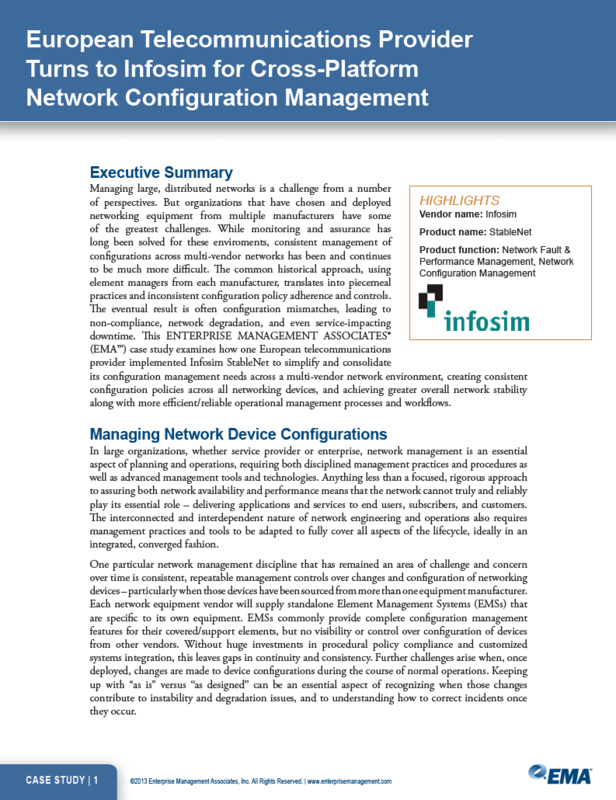 This leads to an improvement of network efficiency and a reduction of costs at the same time. With the StableNet® Embedded Agent (SNEA), Infosim® now offers all the powerful features the customers appreciate from the StableNet® Agent in a plug-and-play “black box” appliance. The SNEA is shipped preconfigured and completely ready to deploy. Only Ethernet and power need to be connected. 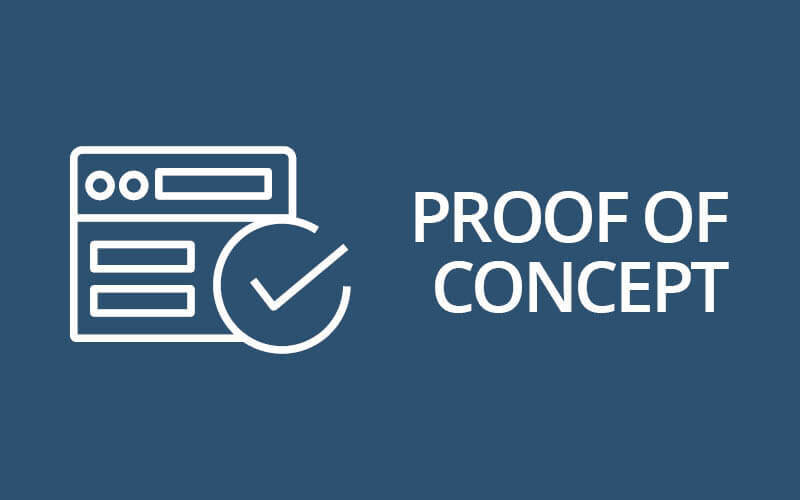 Being distributed to different locations of the network, these boxes with the smallest foot print on the market can shed light into the darkness and reveal new information to the service provider that has not been present before. 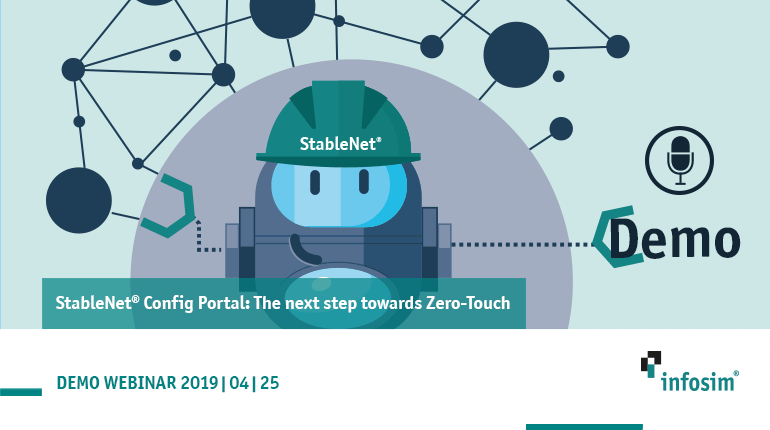 StableNet® is a fully integrated 4 in 1 solution in a single product and data structure, which includes Configuration, Performance, and Fault Management, as well as Network and Service Discovery. By combining the powerful StableNet® Server hosted in a cloud environment and the flexible and ultra-scalable StableNet® Agents, Infosim® now supports a new business case for monitoring out of the cloud. 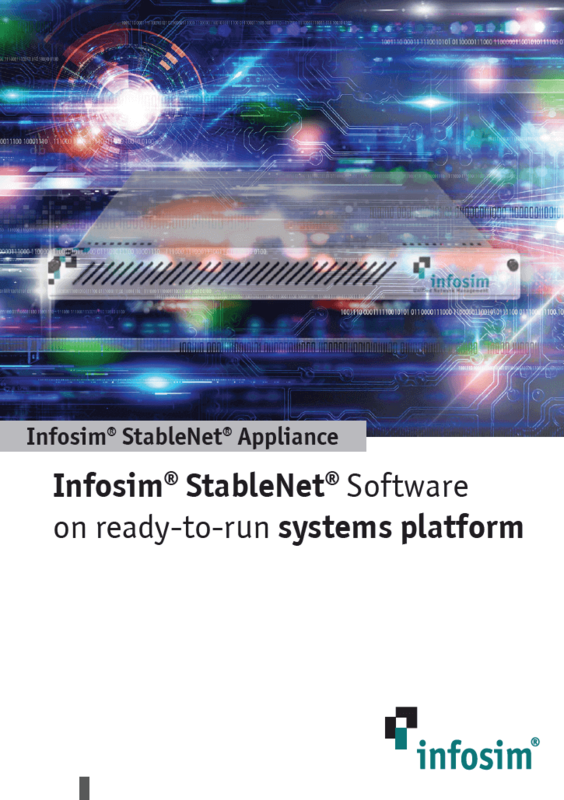 The StableNet® Appliance is a high-performance, preconfigured security-hardened, hardware platform designed to support flexible deployment of StableNet® – the leading Performance, Fault, ­ and Configuration Management solution for Enterprise, Telco, and Service Providers. StableNet® Appliances reduce total cost of ownership by simplifying deployment, consolidating network infrastructure, providing a platform that can scale with your organization, and is optimized for StableNet®. 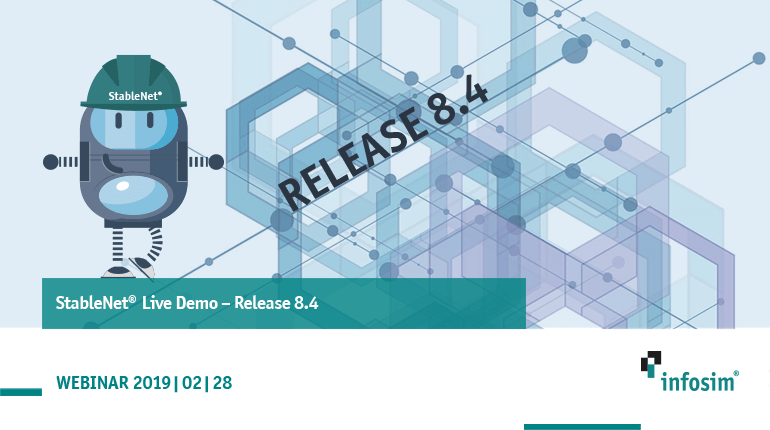 Summarized information on the main StableNet® versions and features, and their role in the overall unified solution. What is VCCAP? Already in 2013, Dimension Data decided to get involved in new and upcoming application virtualization concepts for Service Providers. After two award-winning runs as participants of the Smart Industrial Manufacturing Catalyst in Nice 2016 and 2017, this year Infosim® joined the “Connected Citizens” Catalyst team. Today, network security in enterprises is mainly enforced by firewalls guarding the perimeter of the network against an ever-increasing number of cyber threats. StableNet® is a unified network management solution designed to integrate into existing telco or enterprise network environments built on both modern SDN architectures or legacy physical infrastructures. The Catalyst “Logical Factory: Virtualizing Manufacturing for Agility” shows the development of a platform underpinned by Industry 4.0 philosophies which integrates and connects digitally numerous manufacturing systems across disparate facilities. The Catalyst “Cross-layer Integration and API: Orchestrating the Digital Customer Experience” orchestrates efficient and optimized resource usage to meet dynamically varying digital customer needs by leveraging NFV/SDN, analytics, and standard APIs. “Smart Industrial Manufacturing – Robots as a Service” is the project title of a cooperation between EnterpriseWeb, TWI – The Welding Institute, and Infosim®. It is all about driving the factory of the future forward. Find out how StableNet® and its rich features can be implemented in practical concepts. StableNet® provided by Infosim® and Intel® IoT Gateway demonstrate unified, security-enabled management of IT infrastructure with scalability and connectivity assurance across IoT, SDN, NFV, and legacy networks. Infosim® focuses on addressing the core IoT challenge with a flexible, innovative platform based on powerful, high-performance Intel® architecture. StableNet® is designed to connect “any-to-any,” providing new levels of assurance and interoperability to both legacy and modern IoT infrastructure. There are many aspects to managing a cloud hosting environment. 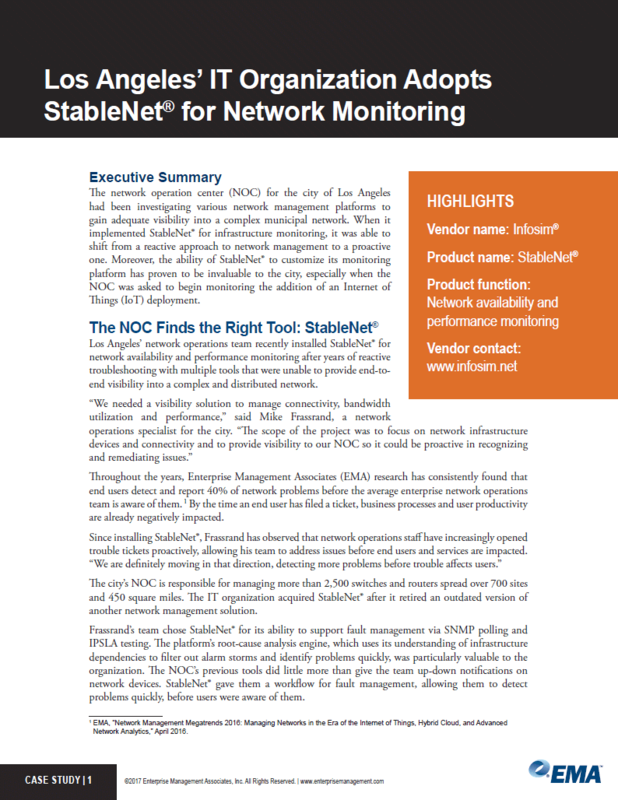 This solution brief explains the Five Steps to Building Total Visibility and Control of your Cloud Infrastructure using StableNet®. 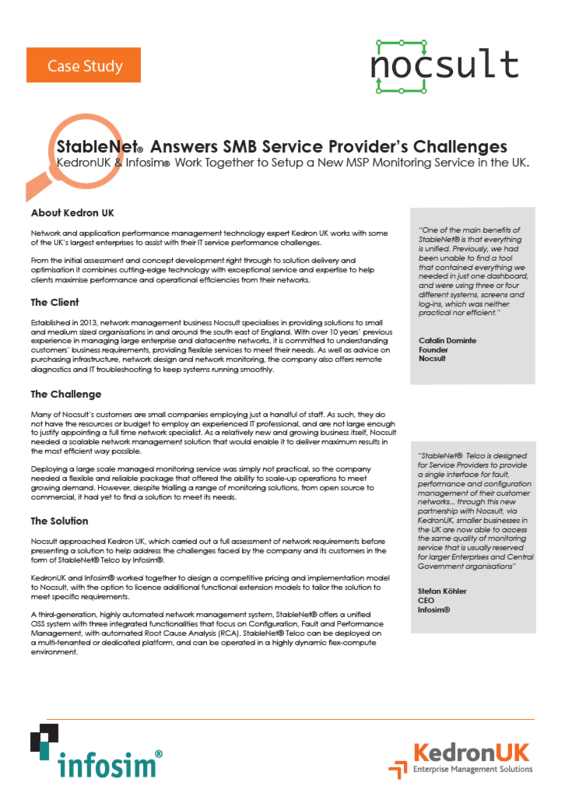 This solution brief provides details on the use of StableNet® in a managed services environment and how this will enable and help you develop new business models and increase your market expansion as well as your RoI. 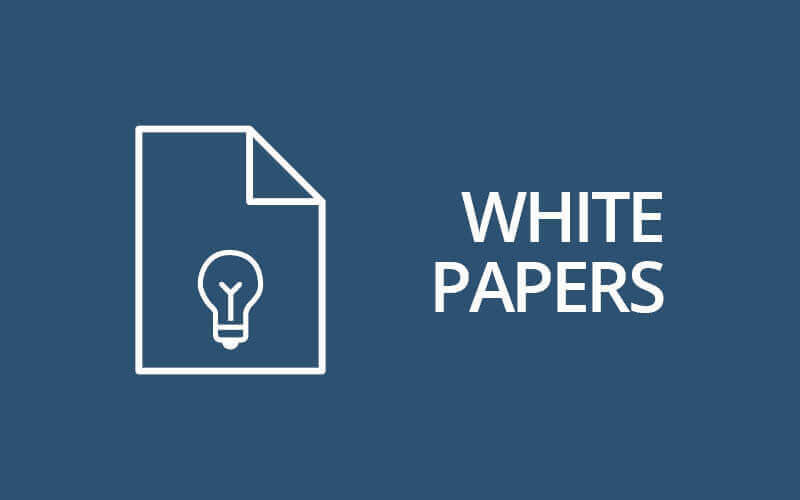 This solution brief provides details on how to orchestrate and implement performance measurements between every hop of your network delivery path in order to determine your NHP at an affordable price with StableNet®. 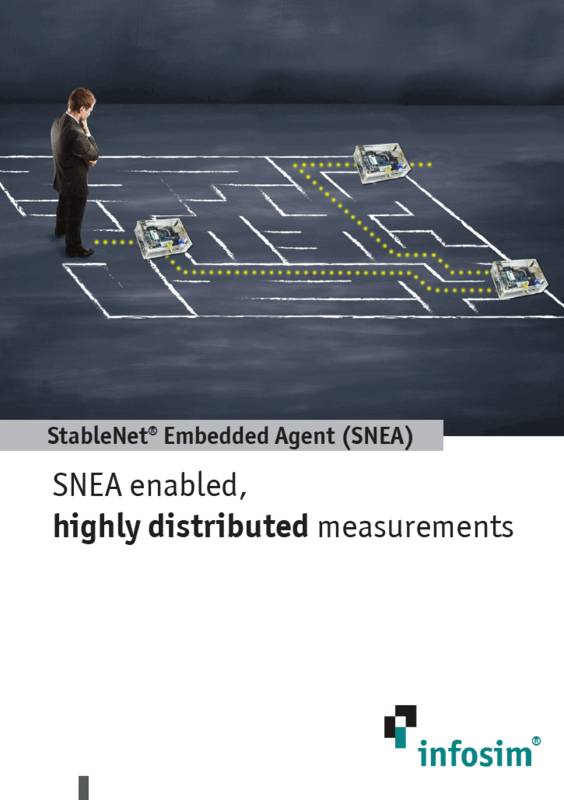 Learn more about how StableNet® is answering specific network challenges in detail. Most enterprise network infrastructure teams already provide connectivity to at least one Internet of Things (IoT) initiative, and many of them play a leading role in planning, implementing, and managing IoT projects. Using StableNet® Netflow in combination with StableNet® performance and fault management provides complete visibility and proactive manageability to the performance and capacity management of your entire global infrastructure. Network infrastructure is evolving at an unprecedented rate and management of those systems has become a labor-intensive exercise. Unlike Fault and Performance Management, NCCM & VLM have no common harmonized management methods or protocols. 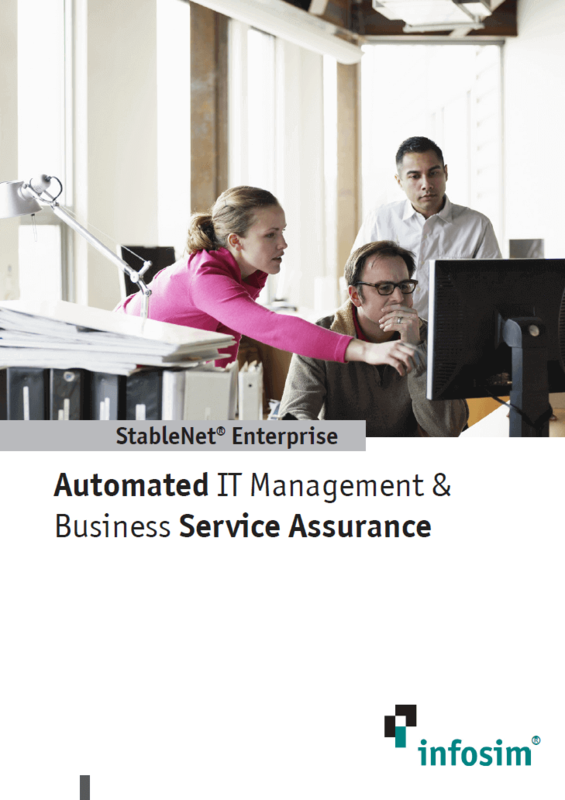 StableNet® is a unified End-to-End Service Quality Management platform, and therefore takes a customer-centric approach to the service assurance monitoring infrastructure, performance, and fault management in a single solution. 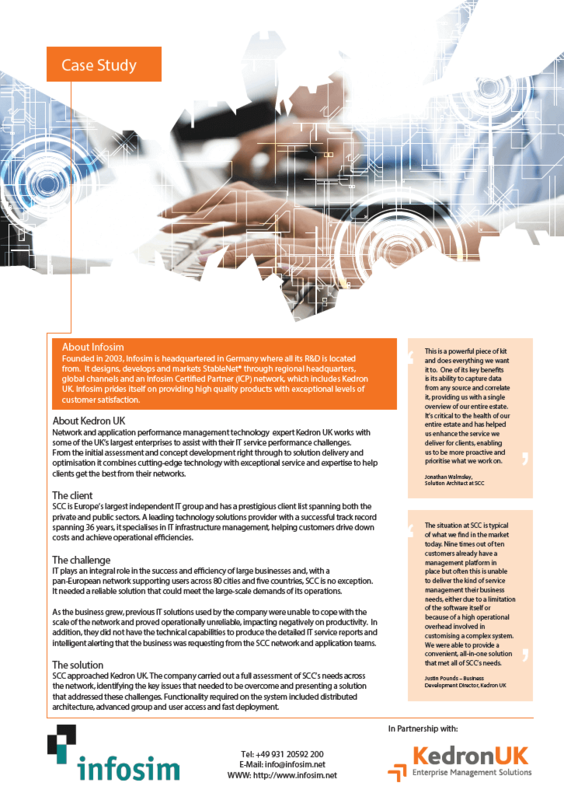 When researching the unified network management solution market space there are many sources of information available; vendor websites, market analysts, awarding bodies, community forums, and magazine reviews. 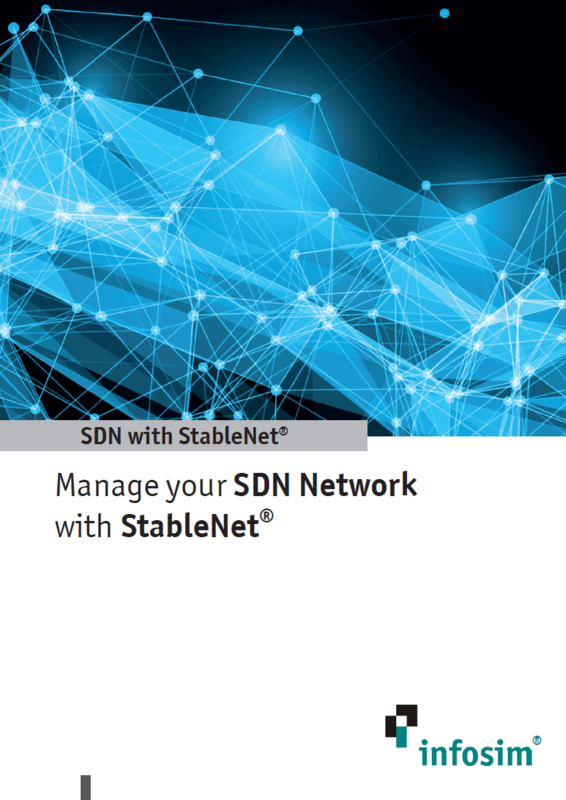 See how StableNet® can solve a particular network problem or address a certain network challenge. Athenahealth, a provider of cloud-based healthcare software, will replace more than a half-dozen stand-alone network management tools with StableNet® by Infosim®. 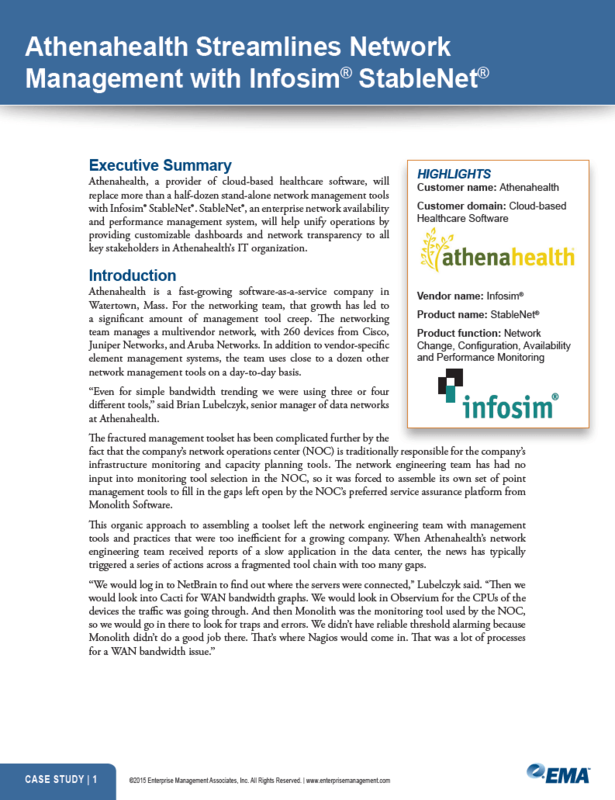 StableNet®, an enterprise network availability and performance management system, will help unify operations by providing customizable dashboards and network transparency to all key stakeholders in Athenahealth’s IT organization. 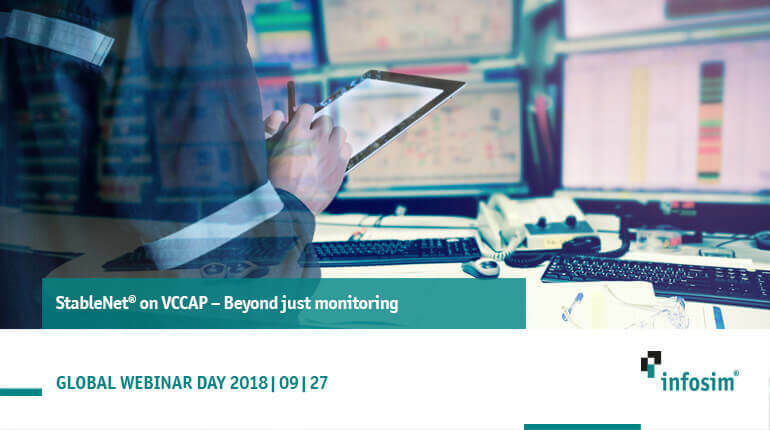 The network operation center (NOC) for the city of Los Angeles had been investigating various network management platforms to gain adequate visibility into a complex municipal network. When it implemented StableNet® for infrastructure monitoring, it was able to shift from a reactive approach to network management to a proactive one.Moreover, the ability of StableNet® to customize its monitoring platform has proven to be invaluable to the city, especially when the NOC was asked to begin monitoring the addition of an Internet of Things (IoT) deployment. Network and application performance management technology expert Kedron UK provides a solution for Barratt Homes, a company building residential properties with a network of 25 housebuilding divisions throughout Britain. 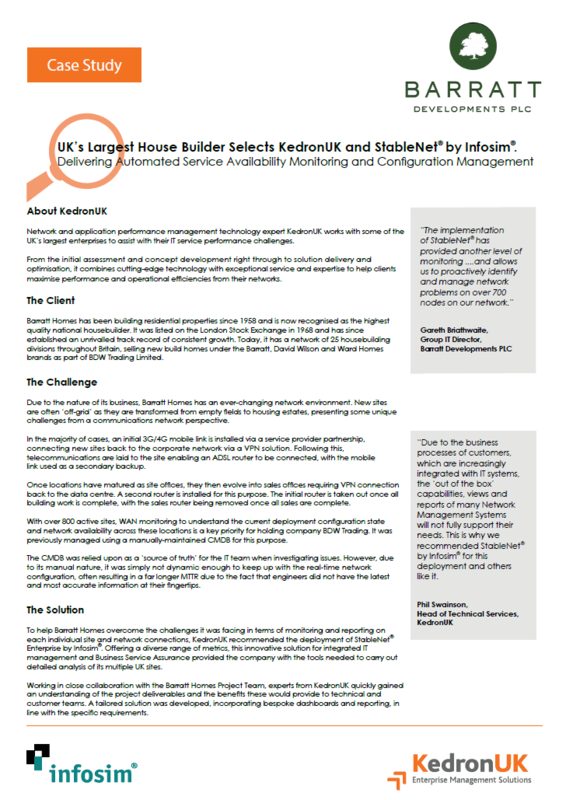 To help Barratt Homes overcome the challenges it was facing in terms of monitoring and reporting on each individual site and network connections, Kedron UK implemented StableNet® Enterprise by Infosim®. Barratt Homes has gained a granular level visibility of the IT equipment configuration. The final solution saves many hours of fault-finding each day and led to a more efficient fault management process. Network management business Nocsult specialises in providing solutions to small and medium sized organisations. Many of its customers are small companies, not large enough to justify appointing a full time network specialist. 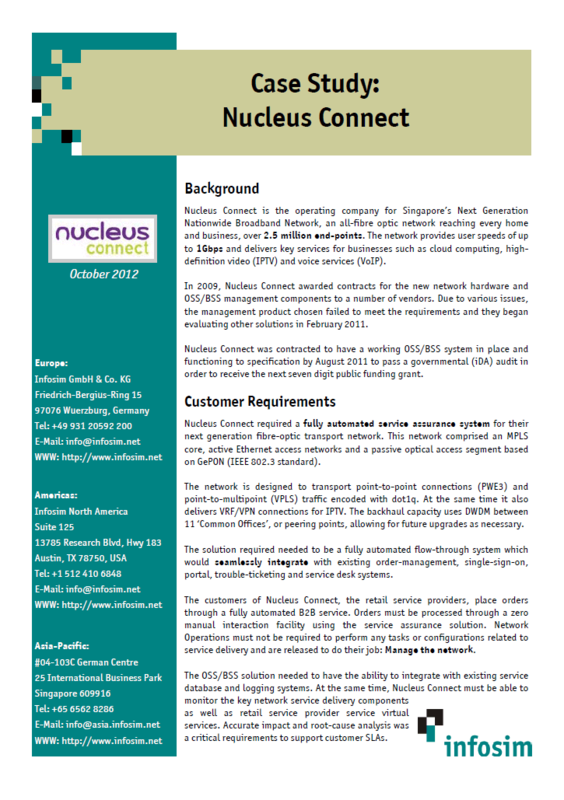 As a growing business Nocsult needed a scalable network management solution and decided to implement StableNet® after a thorough evaluation. 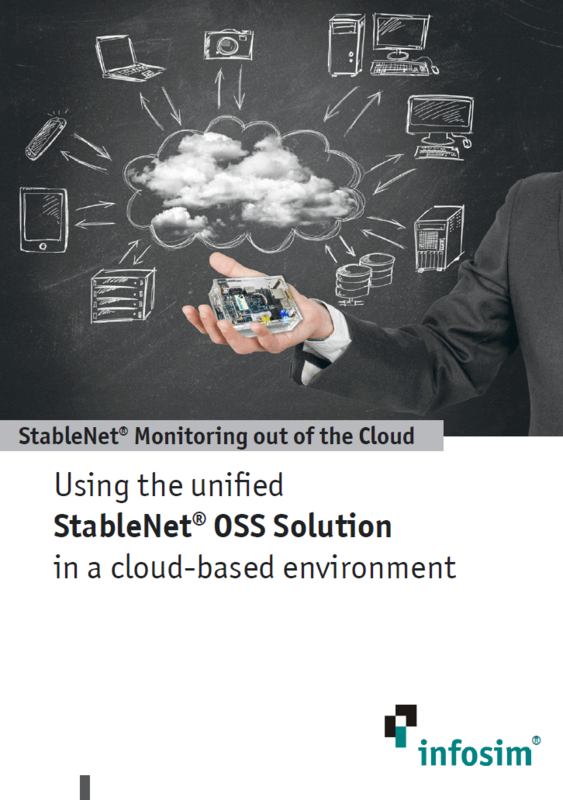 The company is using StableNet® by Infosim® to monitor both network and server elements. Currently, there are approximately 1000 switches and routers and a large number of servers under management, comprising a total of 22,000 managed elements across 170 locations worldwide. The deployment consists of one central StableNet® Server with four remote StableNet® Agents. Infosim® installed StableNet® Telco to comprehensively manage the entire active network, the DWDM transport and all server, storage, database, and network appliances. 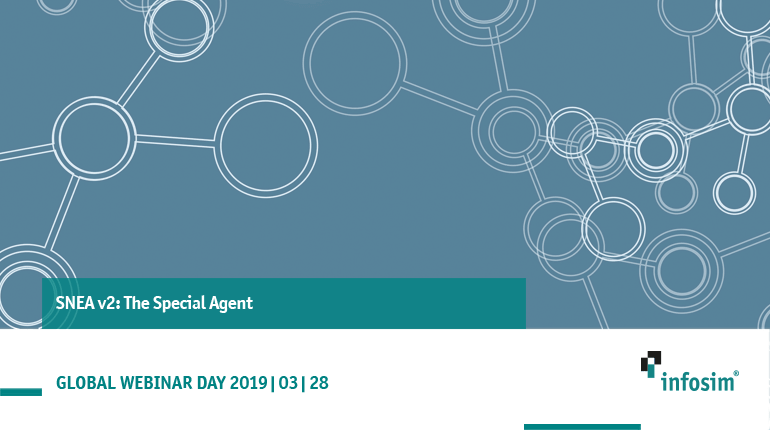 A fault-tolerant system was installed in the central location with StableNet® Agents in each of the 11 common offices for distributed management. 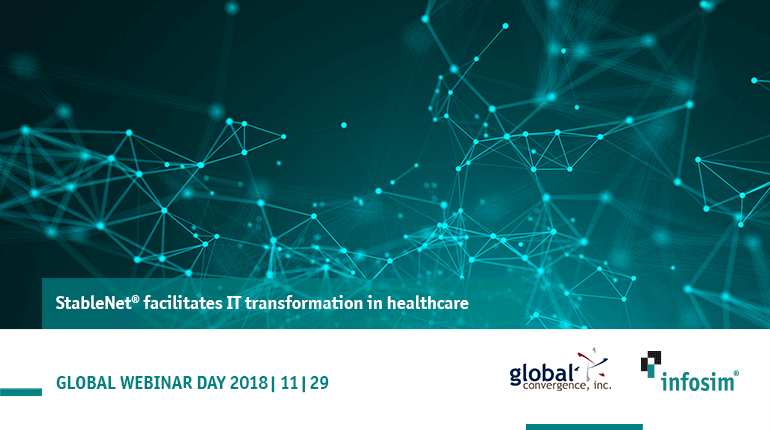 As standard, StableNet® is a multi-vendor solution which is able to support new devices and features with low implementation and adaption efforts. Even with the complex integration requirements, total solution deployment and integration took 16 weeks and comprised 240 man-days of employee time. SCC is Europe’s largest independent IT group and has a prestigious client list spanning both the private and public sectors. A leading technology solutions provider with a successful track record spanning 36 years, it specializes in IT infrastructure management, helping customers drive down costs and achieve operational efficiencies. 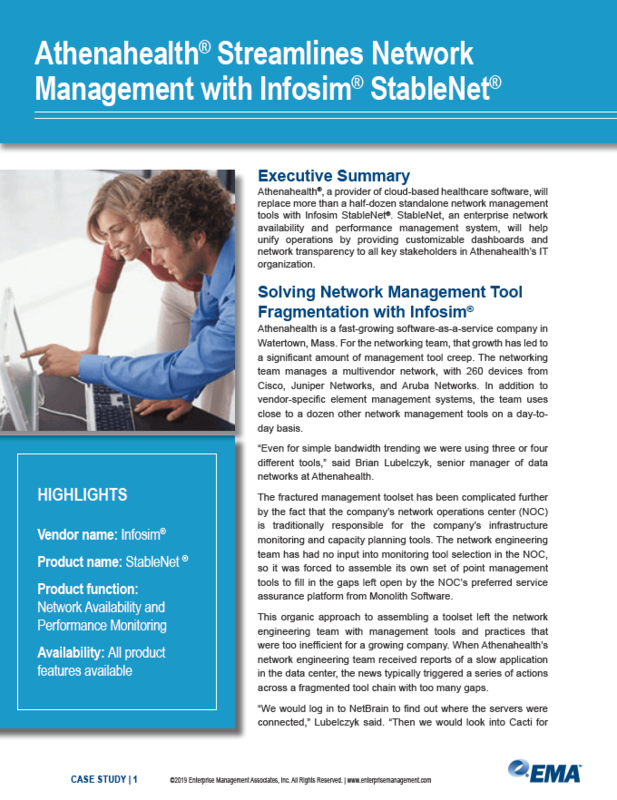 See how StableNet® was implemented and helped organizations improving their business. 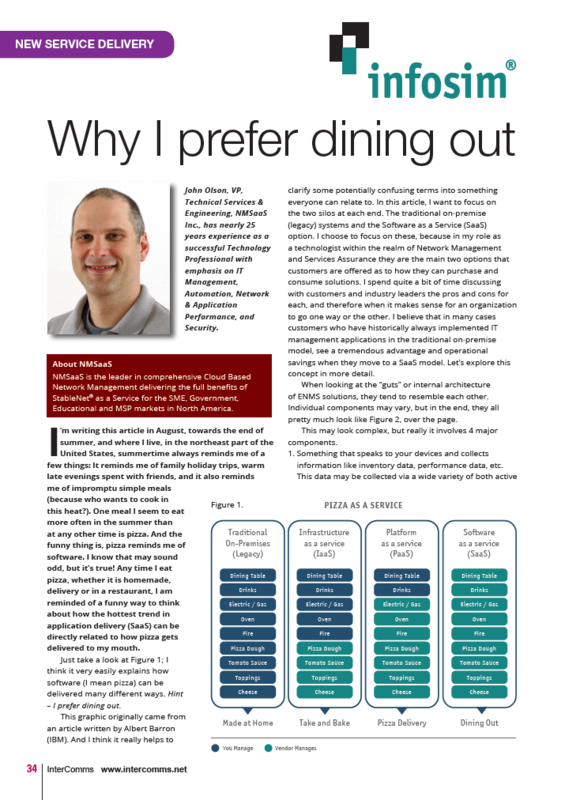 InterComms talks to John Olson, VP Technical Services & Engineering, NMSaaS Inc., about the traditional on-premise (legacy) systems and the Software as a Service (SaaS) option as the main two options that customers are offered as to how they can purchase and consume solutions. Do you care about your services? 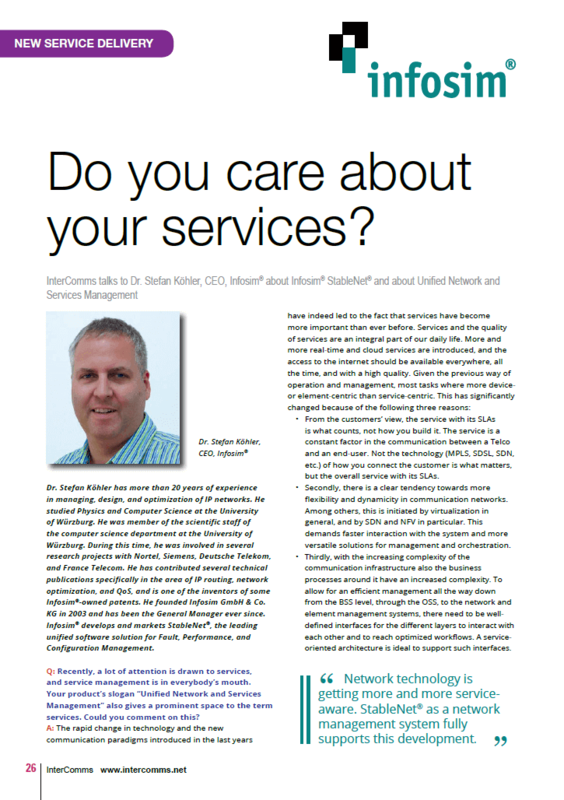 InterComms talks to Dr. Stefan Köhler, CEO, Infosim® about StableNet® by Infosim® and about Unified Network and Services Management, and how StableNet® is ready for services management through offering service-awareness and service-based management. 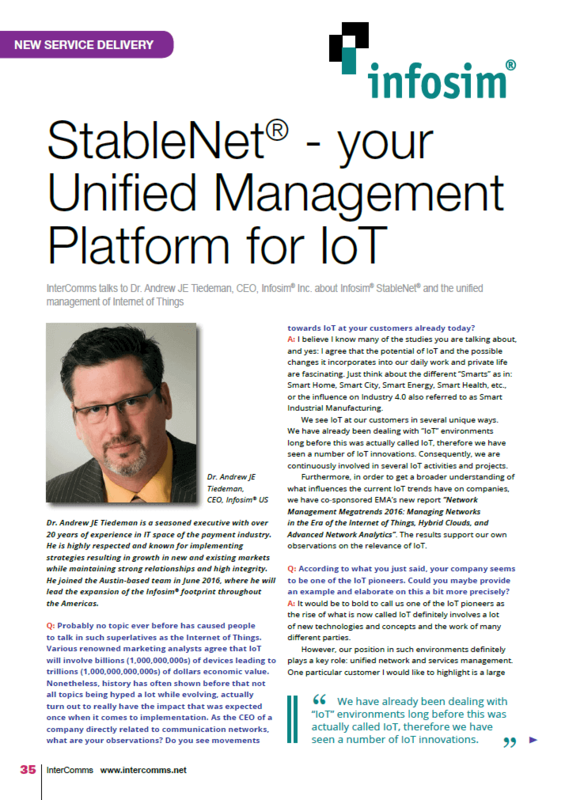 InterComms talks to Dr. Andrew JE Tiedeman, CEO of Infosim Inc., about StableNet® by Infosim® and the unified management of the Internet of Things. 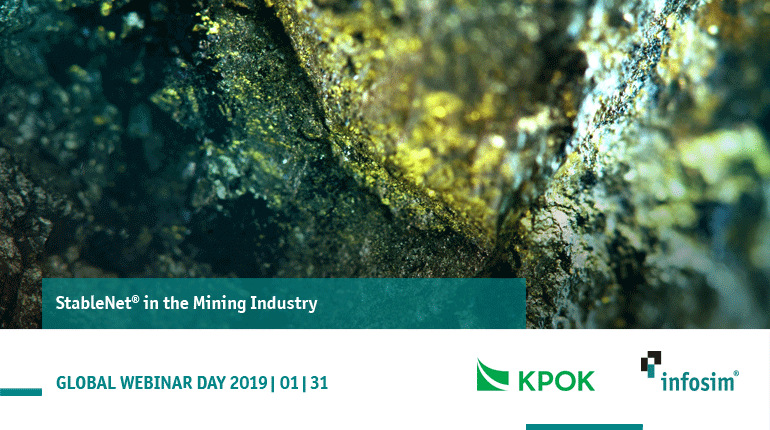 The complexity to manage such elaborate environments demands the availability of a well-integrated solution to cover all aspects of monitoring, fault management, and configuration. 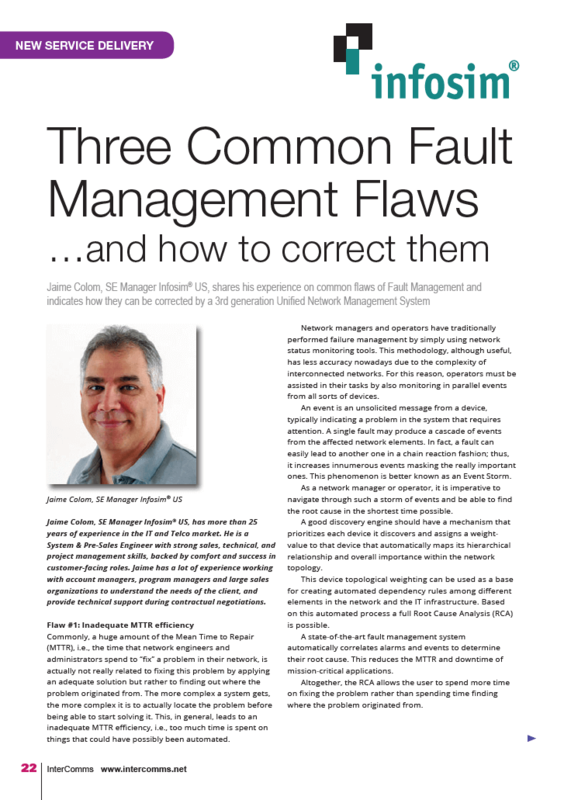 Jaime Colom, SE Manager Infosim US, shares his experience on common flaws of Fault Management and indicates how they can be corrected by a 3rd generation Unified Network Management System. Network managers and operators have traditionally performed failure management by simply using network status monitoring tools. This methodology, although useful, has less accuracy nowadays due to the complexity of interconnected networks. 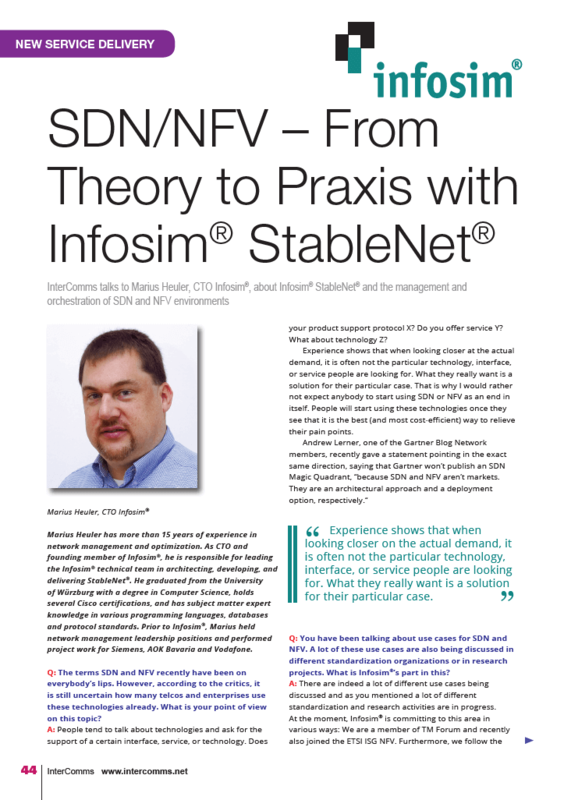 Intercomms talks to Marius Heuler, CTO, Infosim®, about StableNet® by Infosim® and the management and the orchestration of SDN and NFV environments. The new tagging concept is a small revolution to the way that data can be handled for management and orchestration. 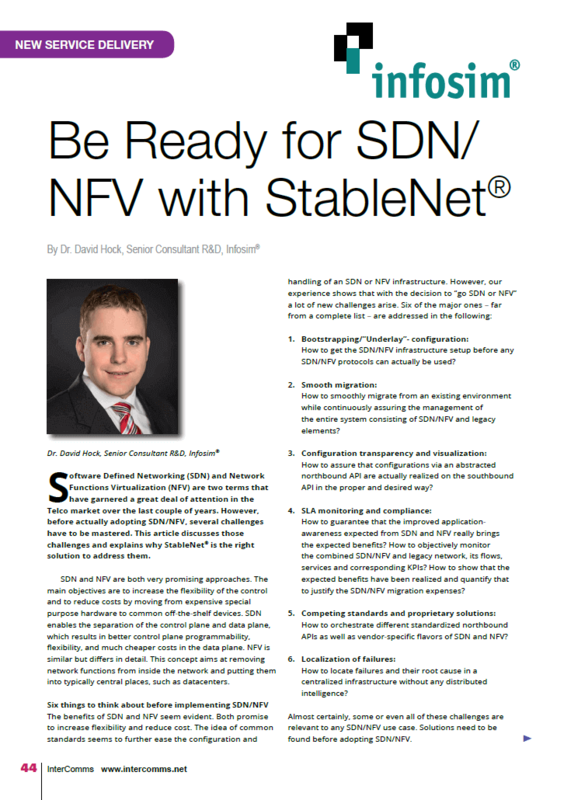 Dr. David Hock, Senior Consultant R&D, Infosim®, discusses the challenges to master before actually adopting SDN/NFV and explains why StableNet® is the right solution to address them. 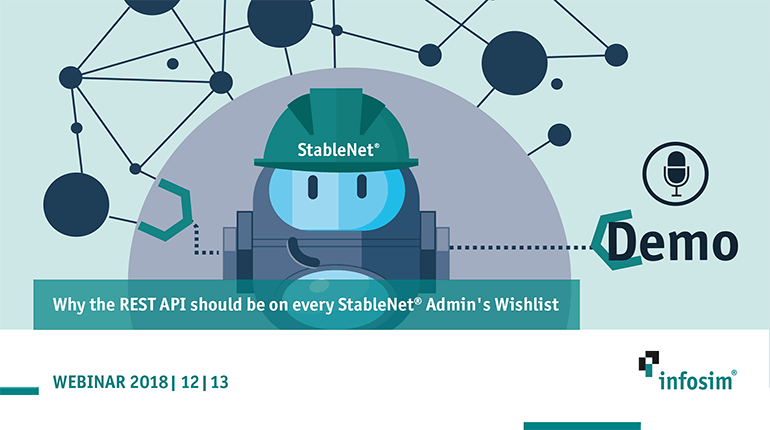 StableNet® is a fully integrated 4 in 1 solution in a single product and data structure, which includes Configuration, Performance, and Fault Management, as well as Network and Service Discovery. Read the latest reports on the cutting-edge StableNet® network technology in Telco and Enterprise environment.